Corexcel is excited to announce that the Everything DiSC® profiles (including Workplace, Sales, Management, 363 for Leaders and Work of Leaders) have been updated to take their precise, personalized profiles to the next level! 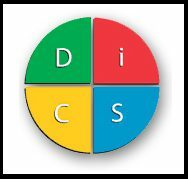 All of the Everything DiSC profiles have been updated to include Adaptive Testing (AT) technology as well as a new, more advanced, scoring algorithm. The result? An assessment process as personalized as your report – a user-friendly survey that is based on your previous questions and answers, to learn more information in less time. See for yourself! Check out the Everything DiSC® Supplement for Facilitators – the report is the first to show the additional information in the report! How does Adaptive Testing work? How will AT affect the profiles? To answer these questions and more visit our original blog post: Everything DiSC, Even Better – New Adaptive Testing.